You hear a lot from International Living about the high-quality, low-cost healthcare enjoyed by people who have moved abroad. I’ve been taking advantage of that money saving aspect of expat life for 15 years now. But something happened recently that drove that point home to me again. I saw a doctor here in Ajijic, Mexico for a bad sinus infection. I was so impressed with the doctor that I decided to use him for something that I try to do every time my wife, Suzan, and I change locations…which seems to happen every couple of years. I asked the doctor if I could get a basic physical and establish a baseline medical folder with his office that would serve as a comparison for any changes to my health that might occur over time. He said he had a service for exactly that—it started with a complete blood analysis followed by a physical exam and a finishing consultation that explained the results and any changes in lifestyle that might be needed to improve health. We didn’t even bring up insurance. He didn’t care, and I hate paperwork. So I decided to use the exam as a sort of baseline for basic primary care in Ajijic as well as a baseline for my own physical status. It’s been a long time since I’ve had to sit in an exam room in a tiny, open-backed gown waiting to be poked and prodded. The exam was much as I remembered from back in the day…stethoscopes and tongue depressors, lots of requests to breath deeply, lots of tapping and kneading and twisting and turning and pinching and coughing…things an experienced doctor does with such practice and assurance that it’s not even embarrassing. Afterward, once I redressed, the doctor came back with my blood work and went over everything in detail, drawing parallels between the blood results and things that showed up in my physical exam. When we finished, he gave my blood work results to me—in Mexico, the tests you pay for are yours to do whatever you like with. He also typed up and printed out for me his “prescription.” It was a list of things he determined I needed to do to take care of the minor problems that I should start paying attention to right now, before they became bigger issues. They involved easily understandable dietary and lifestyle tweaks that, when presented as a prescription, had the weight of professional medical significance but at the same time seemed easy to remember and accomplish. And not a pill on the list. The results of my exam weren’t as surprising as the bill I got when I went out front. Complete blood and sample analysis ran me, at the current exchange rate between dollars and pesos, about $60. The physical exam and personal consultation from the doctor cost me about $25. I’d just established a baseline medical folder, including complete blood work and physical, with my primary care physician for $85. Trying to claim it on my insurance never crossed my mind. In fact, such routine wellness practices—the kind that used to be the gold standard of healthcare in the U.S. before insurance companies took over the practice of medicine—probably aren’t even covered in most modern insurance policies. Go to the doctor when nothing is even wrong with you, just to see what kind of shape you’re in and what you should do to stay healthy? Who’d reimburse that? And in truth, I’d have paid twice what I did just to avoid insurance paperwork. My time and my patience have value to me, and insurance claims are extremely taxing to both. I avoid them if at all possible, and at these prices, the thought of insurance didn’t even cast a shadow on my mind. You really can get high-quality, personalized healthcare—like it used to be in the U.S.—at a fraction of the cost when you move overseas. And at a fraction of the paperwork and frustration as well. 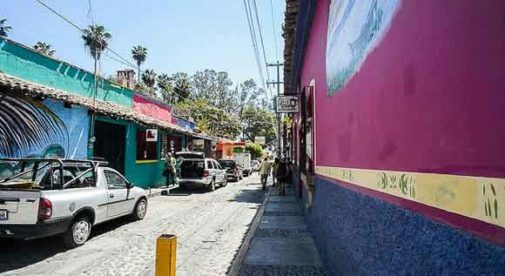 The deep influences of centuries of Spanish occupation are clearly visible almost everywhere in Mexico, from small villages and large cities. The spectacular architecture and beautiful stonework, along with the layout of villages and cities, provide a distinctive and historic European feel throughout much of Mexico. Each morning, my alarm goes off at 7 a.m. but sometimes I lay in bed for a bit longer. No reason to rush. No one is in much of a hurry here at the tip of Mexico's most western territory, the Baja Peninsula. I like to start my day by taking a mile-long walk around the gated community my husband, Dan, and I live in. The houses are mostly three-bedroom and almost all provide a spectacular view of the famous arch in the Sea of Cortez. Uncertainty over the future of the Affordable Care Act has led Americans around the country to stock up on medications they fear they won’t be able to afford, should they lose their health insurance in a repeal of the ACA.